Year: 1951 Item #: 628 Views: 3,894 Comments: No Comments. .. say Bulmer's for cider. Bulmer's satisfies the keenest judges of quality. 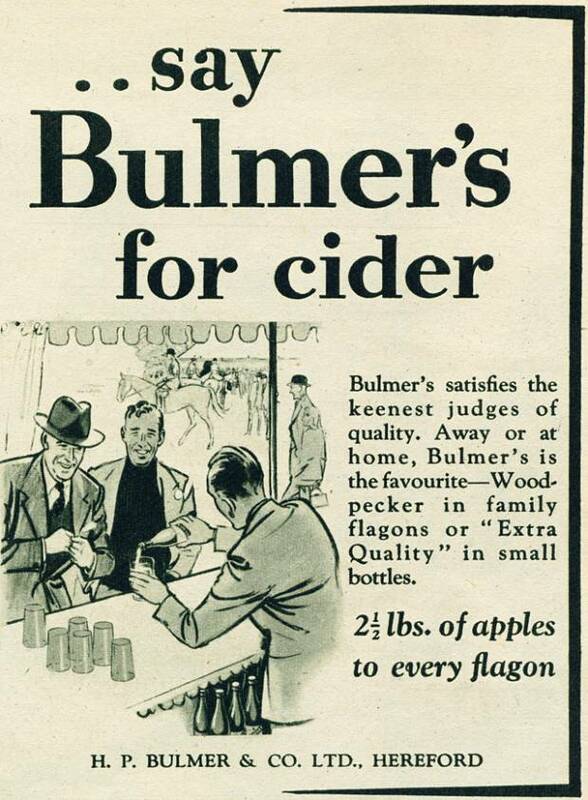 Away or at home, Bulmer's is the favourite - Woodpecker in family flagons or "Extra Quality" in small bottles.